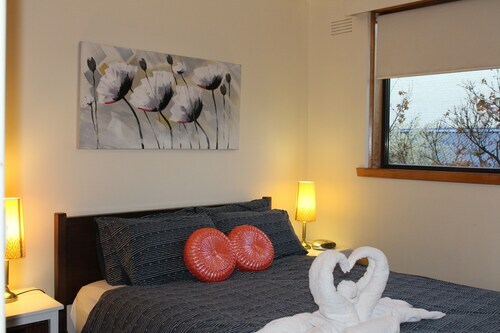 Situated in the historical district, this luxury hotel is 1.4 mi (2.2 km) from Werribee Open Range Zoo and 12 mi (19.3 km) from Altona Beach. 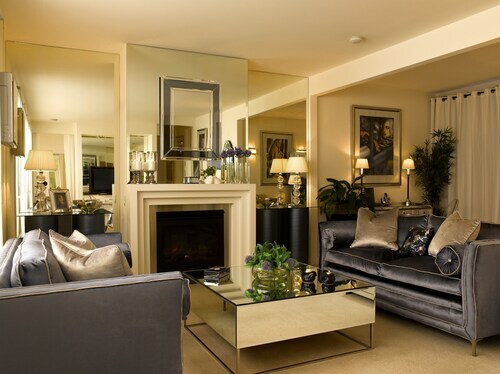 Flemington Racecourse and Highpoint Shopping Centre are also within 20 mi (32 km). 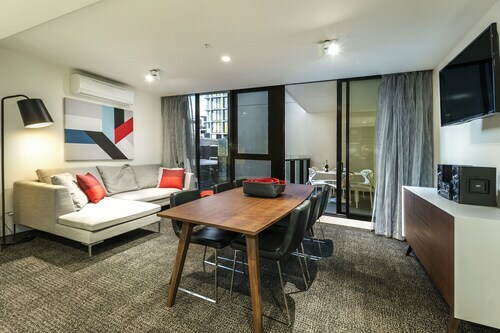 Situated in the entertainment district, this luxury aparthotel is 0.4 mi (0.6 km) from Church Street and within 3 mi (5 km) of Melbourne Cricket Ground and Princess Theatre. Her Majesty's Theatre and Rod Laver Arena are also within 3 mi (5 km). North Richmond Station is 18 minutes by foot and Collingwood Station is 24 minutes. 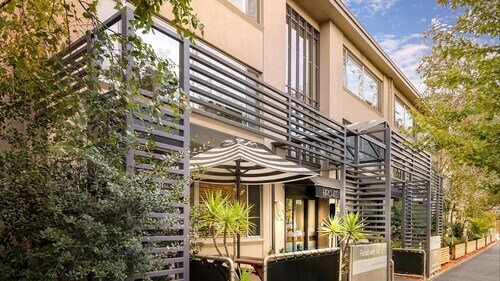 Situated in Richmond, this luxury apartment building is within 2 mi (3 km) of Church Street, Melbourne Cricket Ground, and Princess Theatre. Rod Laver Arena and St. Vincent's Hospital are also within 2 mi (3 km). West Richmond Station is 12 minutes by foot and North Richmond Station is 12 minutes. 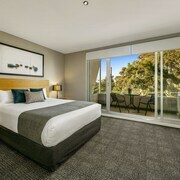 Situated in Northern Suburbs, this motel is within 1 mi (2 km) of Church Street, St. Vincent's Hospital, and Melbourne Museum. 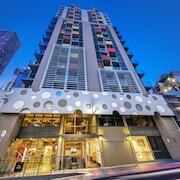 Melbourne Cricket Ground and Princess Theatre are also within 2 mi (3 km). Collingwood Station is 6 minutes by foot and North Richmond Station is 8 minutes. 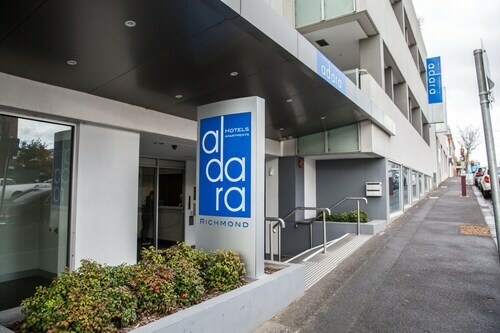 Situated in Richmond, this apartment building is within 1 mi (2 km) of Bridge Road, Melbourne Cricket Ground, and Rod Laver Arena. AAMI Park and Hisense Arena are also within 1 mi (2 km). 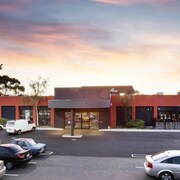 West Richmond Station is only a 2-minute walk and North Richmond Station is 6 minutes. 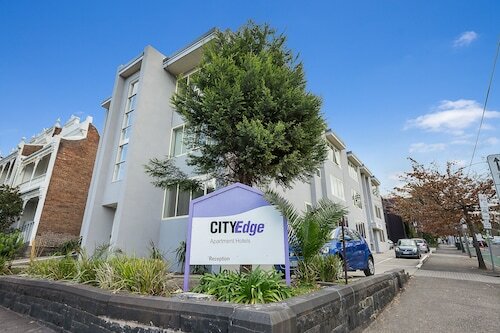 Situated on the Strip, this apartment building is within 1 mi (2 km) of Bridge Road, Melbourne Cricket Ground, and Rod Laver Arena. AAMI Park and Hisense Arena are also within 1 mi (2 km). West Richmond Station is 7 minutes by foot and North Richmond Station is 13 minutes. 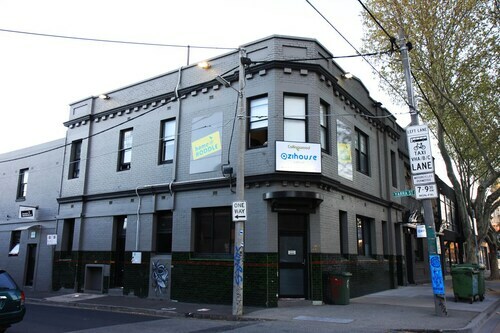 Situated in Northern Suburbs, this hostel is within 2 mi (3 km) of Abbotsford Convent, Melbourne Cricket Ground, and Princess Theatre. University of Melbourne and Melbourne Museum are also within 2 mi (3 km). Victoria Park Station is only a 5-minute walk and Collingwood Station is 5 minutes. 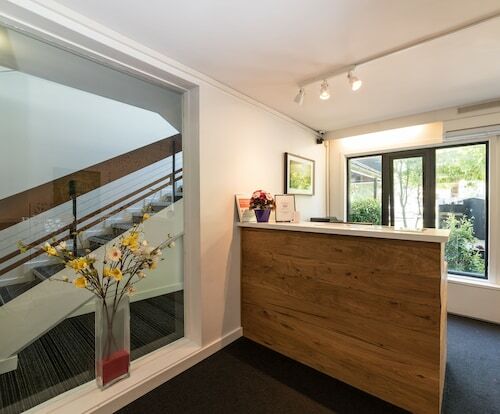 Situated in the business district, this apartment building is within 1 mi (2 km) of Fitzroy Gardens, Melbourne Cricket Ground, and Princess Theatre. Her Majesty's Theatre and St. Vincent's Hospital are also within 1 mi (2 km). North Richmond Station is 6 minutes by foot and West Richmond Station is 10 minutes. 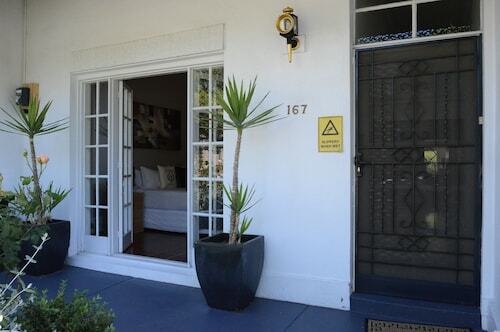 Situated in East Melbourne, this luxury vacation home is within 1 mi (2 km) of Fitzroy Gardens, Melbourne Cricket Ground, and Princess Theatre. Her Majesty's Theatre and St. Vincent's Hospital are also within 1 mi (2 km). North Richmond Station is 6 minutes by foot and West Richmond Station is 10 minutes. 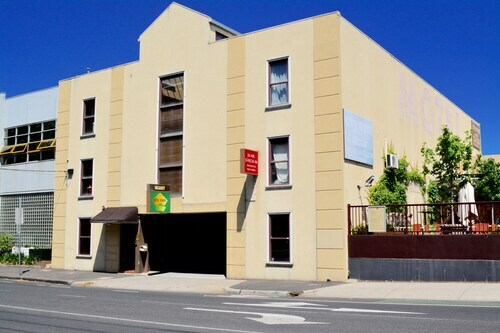 Situated in East Melbourne, this apartment building is within 1 mi (2 km) of Fitzroy Gardens, Melbourne Cricket Ground, and Princess Theatre. Her Majesty's Theatre and St. Vincent's Hospital are also within 1 mi (2 km). North Richmond Station is 6 minutes by foot and West Richmond Station is 11 minutes. 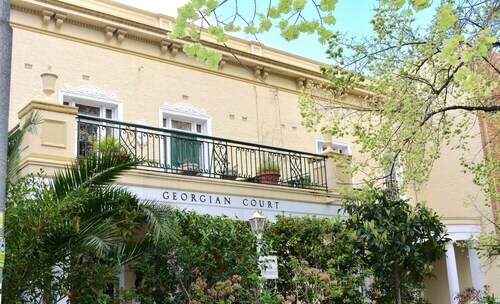 Situated in the historical district, this aparthotel is within a 15-minute walk of Fitzroy Gardens and Melbourne Cricket Ground. Princess Theatre and Her Majesty's Theatre are also within 1 mi (2 km). North Richmond Station is 9 minutes by foot and Jolimont Station is 10 minutes. 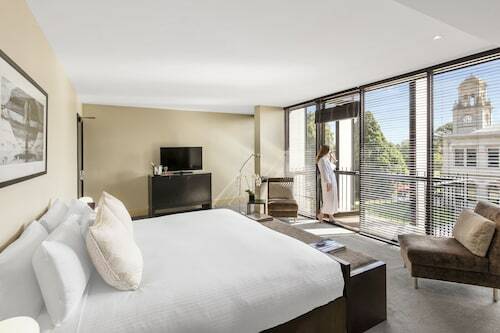 Situated in East Melbourne, this bed & breakfast is within a 15-minute walk of Fitzroy Gardens, National Sports Museum, and Melbourne Cricket Ground. 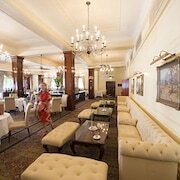 Parliament House of Victoria and Victoria Gardens Shopping Centre are also within 2 mi (3 km). West Richmond Station is only a 4-minute walk and Jolimont Station is 8 minutes. You love wine. We love wine. And what’s better than drinking wine while on holiday? Drinking wine while on holiday at an actual winery. Imagine sampling a fine red vintage, or sipping a delicate white so fresh you can swear there’s still bits of grape in it. You might even get to help make your own wine! How? 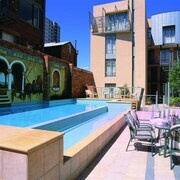 By booking winery accommodation in Melbourne. Some Melbourne wineries accommodation even offer wine pairing classes, so you can take all your classy new knowledge home with you. Impress your friends by recommending what varietal goes best with roast beef or a zesty herb salad—you can thank us later. 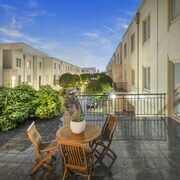 You don’t need to fork over heaps of cash for accommodation in Melbourne wineries. Wotif can get you a spot at the winery you want beginning at AU$90. Still not sure you’re ready? Check out 4242 reviews from wine-loving travellers like yourself and pick out the right winery for your getaway.